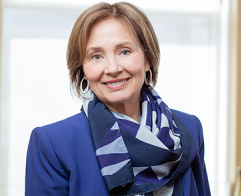 Janet M. Brown is President and CEO of FundX Investment Group. Ms. Brown has been part of the mutual fund evolution since 1978, researching and developing effective investment strategies for clients. A frequent guest on national media, Ms. Brown’s expertise is widely recognized. She is a board member of several nonprofits and foundations and a longtime advocate for sustainable responsible investing — SRI. She details her portfolio strategy in this detailed interview with the Wall Street Transcript. One of her several expert portfolio structures is the SRI. To get a full interview, read it at the Wall Street Transcript.